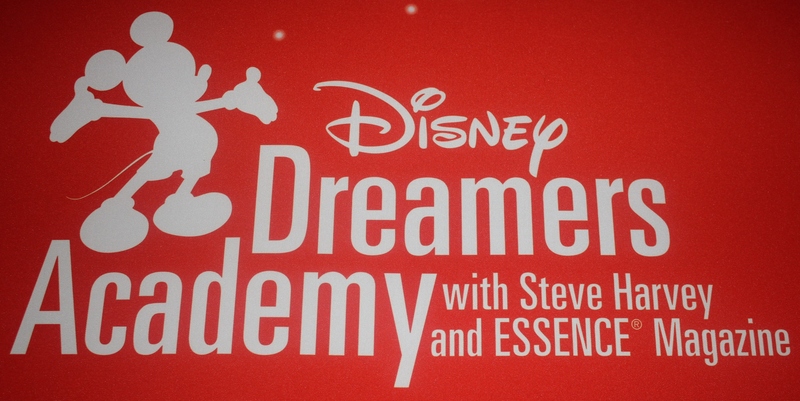 The seventh annual Dreamers Academy with Steve Harvey and Essence Magazine was held March 6-9 at Walt Disney World Resort, but before the first high school teen arrived, mathematics were symbolic. A record 10,000 applicants wrote essays defining their dreams, but only 1 percent beat the odds to be counted among the 100 who comprised the class of 2014. They traveled from 27 states. This year’s group included 15 Florida Dreamers. Harvey leads a prestigious judging panel charged with narrowing the submitted essays to 100. They include Essence Communications President Michelle Ebanks; Mikki Taylor, Essence’s Editor-at-Large; Alex O. Ellis, CEO of Simply Ellis Custom Clothier; education advocate Dr. Steve Perry; gospel legend Yolanda Adams; sports analyst Stephen A. Smith; and a host of other celebrity notables who volunteer their time and, above all, share their own dreams. The 15 from Florida were racially diverse, proving no teen’s dream is limited by color. Four males and 11 girls from varied parts of the peninsula meshed to form a cultural mosaic of African-Americans, Cuban-Americans, Cuban-Arabic, Whites and Hispanics. The Florida Dreamers’ stories unequivocally confirm – they are about business and seek to change the world. Blonde-haired and blue-eyed Samantha Solberg from Longwood has a rare global connection to Kenya. The 16-year-old entrepreneur sends 50 percent of her profits from “Samantha’s Treasures” to “Girls with Vision in Africa” where the money is used for discipling, education, and wages. Further unique is the example of Pavlina Osta, whose radio show “Pavlina’s Kidz Place” airs on four Florida stations, giving airtime to a hotbed of social topics including depression, AIDS and bullying. A civic-minded 16-year-old, Osta is a former page for the Florida House and Senate. Matthew Young is a junior attending Jacksonville’s nationally acclaimed Stanton College Preparatory High School. Academically focused, he is on target to pursue law or politics. Young is in the International Baccalaureate program, National Honor Society, National French Honor Society and National Film Honor Society. Tra’Vaughn Harrington’s mother died when he was 5 years old. He doesn’t know his father. His 27-year-old sister serves as guardian and life-support for him and four siblings. At his core, Harrington is just an ordinary 15-year-old freshman from New Port Richey who loves football, wrestling, track and music. Kiana Favors was born with one kidney and a whole in her heart. At age 12, she was diagnosed with ovarian cancer, endured radiation and chemotherapy, and survived a radical hysterectomy. Her body will never give birth to a living dream. “My parents are the reason for my great attitude,” explained Favors. “They taught me to not let my illness be my crutch or define me. I am worth more than that [cancer]. I am here for a reason.” A vivacious high school senior, Favors now plays varsity basketball, runs track, and is one fighter who never looks back. Neijia Riley is an 18-year-old Tampa-based senior with a 4.94 grade point average. She’s a socialite with discipline who is a “proud member” of the JROTC Drill Team, SGA, DECA, and Senior Class. Already a go-getter, this fall she’ll be a Florida Gator. “I saw DDA on Facebook and noticed people who look like me, with Steve Harvey and Mickey Mouse. I decided to apply,” said Riley. With aspirations to become a world-class event planner, Riley beat remarkable odds twice. She was one of only two 2014 Dreamers selected to serve as an intern when Harvey hosts the 2014 Ford Neighborhood Awards in Atlanta Aug. 7-10. Beyond four days of motivation and celebrity mentoring, dreams were ignited by the weight of imparting words. Sought after speaker Jonathan Sprinkles offered the reflective, “Never adjust your expectations downward to compensate for your peer’s expectations. The Illimumination Of These Young Adult’s Dreams is amazing. They were an amazing group of teens!